Delectation Fix #Social Offline - 110016 - CHOMP! SLURRP! BURP! Hauz Khas Village is now synonymous to the largest #Social in Delhi NCR. 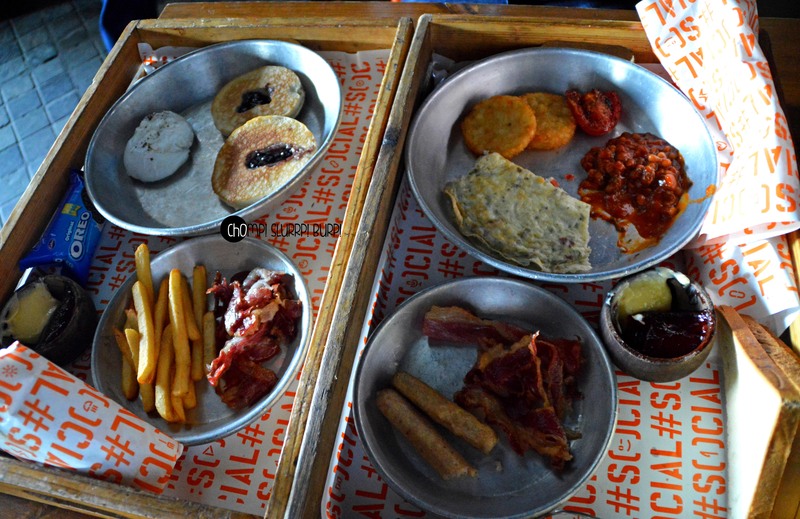 No matter how many new places come up, #Social Offline at Hauz Khas Social has made its own niche with outlandish, rustic interiors, LIITs, spot on dishes and the perfect party destination. Hauz Khas Social is one of the few places that took over the city like wild fire and the flame is still ablaze and spread across with DefCol Social and Odeon Social and Epicuria Social and CyberHub Social on their way. Not only has Social become a hot favorite, the nitty gritties including the glasses, walls and cutlery has inspired many cafes across Delhi. Social not only offers a working ambiance but also houses many events under the #AntiSocial label. Being one of the grandest places in the village, they also have a terrace #SocialChhat which comes alive during evenings and has a completely different desi menu. I keep going back to Social like a safe haven. 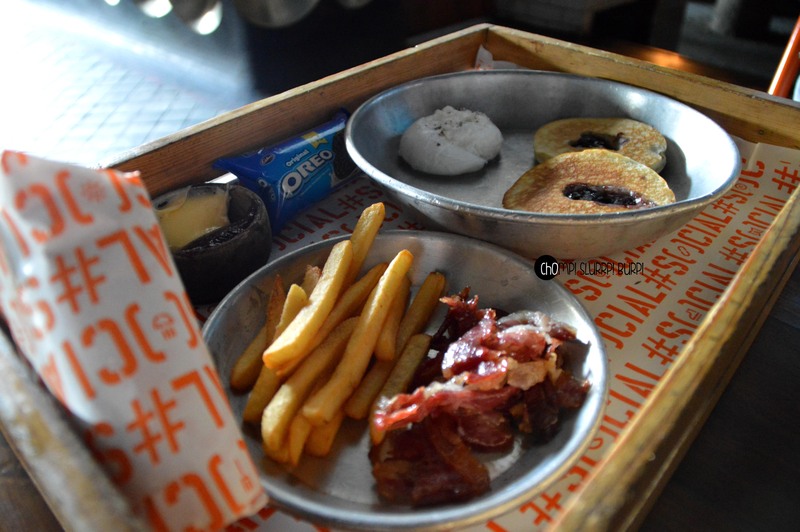 The breakfast menu at Social is elaborate and one of the best sellers. 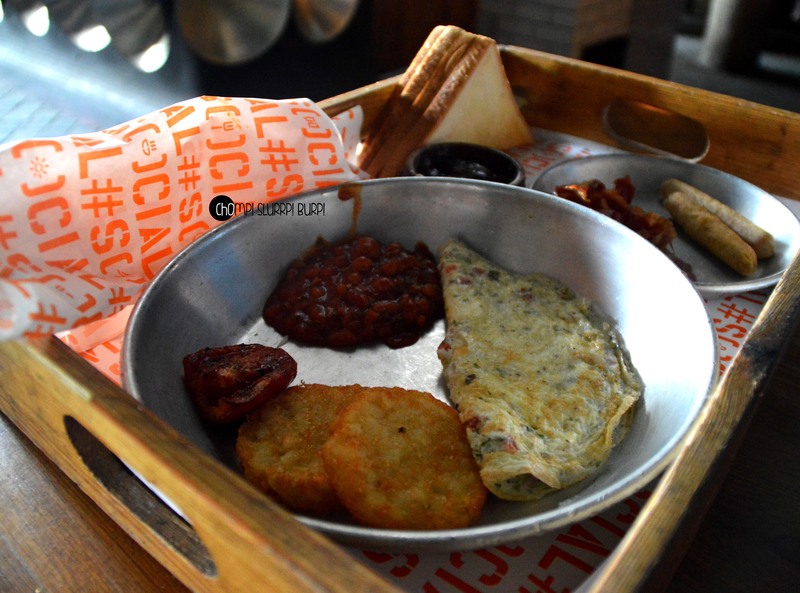 Sid’s very posh breakfast – eggs to order – masala omelette, hash browns, beans, grilled tomato, sausages, bacon, butter, preserves and toast. Kiran’s big apple breakfast – eggs to order – eggs benedict here, blueberry pancakes, fries, bacon, oreo, butter, preserves and toast. They have an enticing range of sandwiches, paos, baos and burgers. 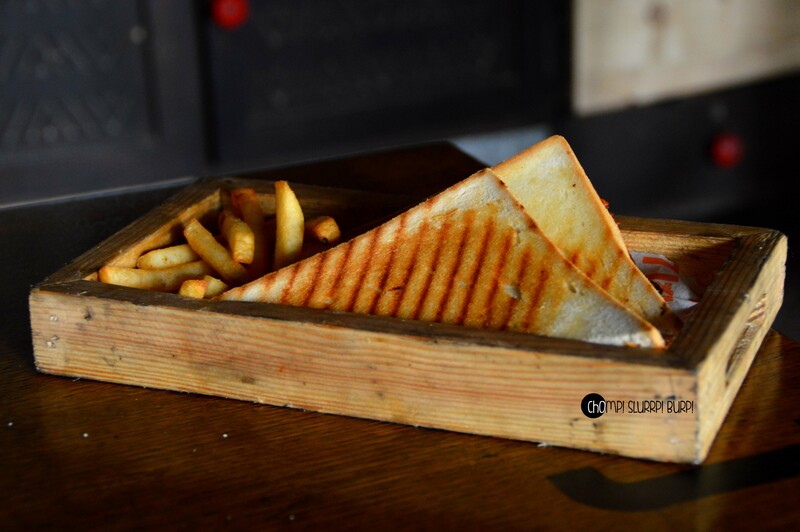 The barbeque chicken burger is one of the classics – light toasted, crispy bread with succulent pieces of chredded chicken tossed in barbeque sauce. 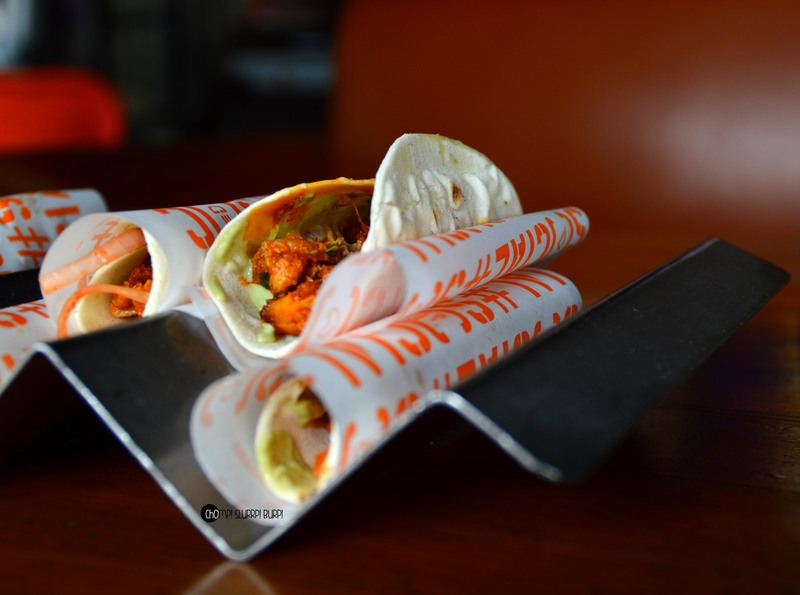 The sharables too make for pretty good starters – The Shawarama! Yo ! Mama Platter comes with Lebanese dips, fattoush salad, grilled chicken shawarma and pita. 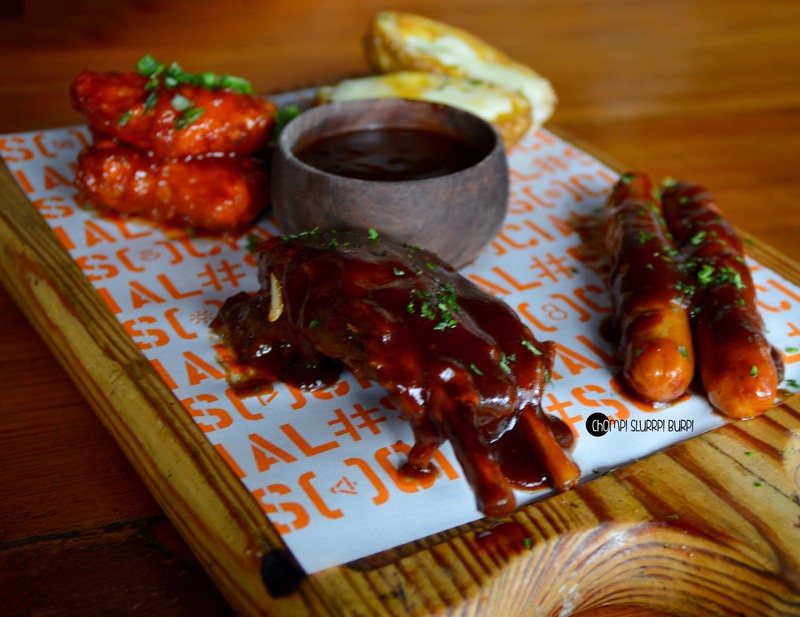 The BBQ Board comes with chicken wings, sausages, cheese baked potatoes and pork ribs generously sprawled over with house smoked barbeque sauce. Lipsmacking! The sliders make for pretty good lite bites too – we tried their chicken tikka tacos this time. Soft shell tortilla, mint mayonnaise, and luscious, flavorsome shredded chicken. 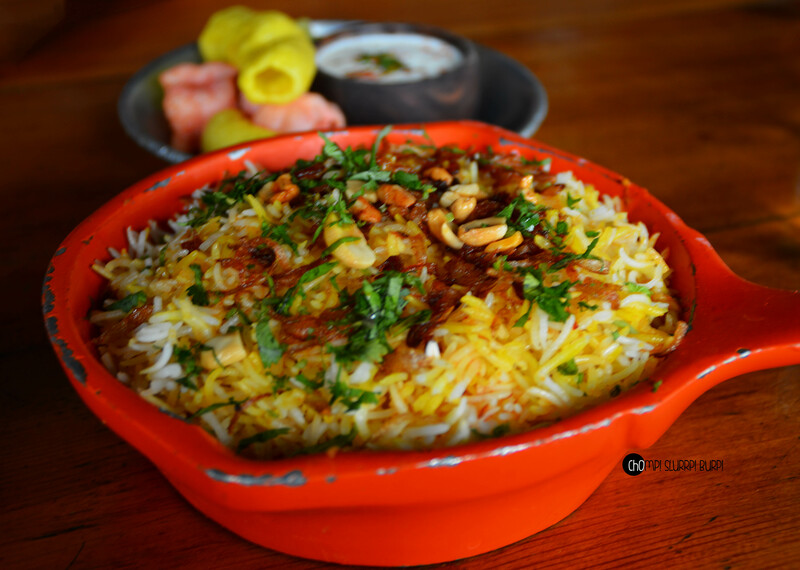 The substantial meals are the safest to choose from – go with a classic China box or one of their well groomed biryanis. Having tried and tested their Chinese, we went for the butter chicken biryani this time. Aromatic rice, topped with cashews and brown onions, slight gravy laden chicken pieces served with yogurt and old school fryums. End your meal with a chocolate blood bath or layer cake, and do not forget to order your favorite shakes – Social Shake and Oreo Mud pot shake remain my all time favorites. So, get going and unwind at the reigning #social destination.